When you begin shopping or planning for a Canadian fishing adventure, one of the most important things to consider is what kind of fishing you would like to do, along with the type of water you would like to fish. 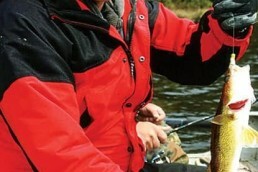 Many shoppers start backward and begin looking for specific lodges before they even begin to research the fishing part. I realize that there are many reasons to take a Canadian fishing vacation, and while the “catching” is not the only reason, it usually winds up being the important factor. After determining the species your party would like to target or how important the level of being able to catch the targeted species is, you can then develop a list of other questions to narrow your search and ultimately find lodges to choose from. Big lakes mean big fish. 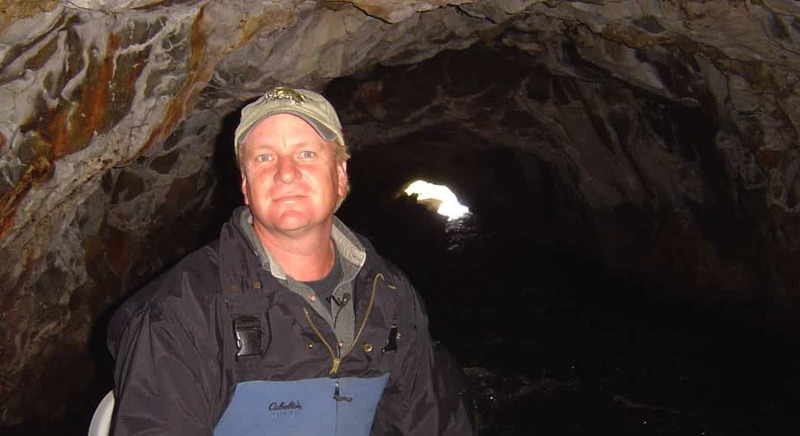 In many instances, larger lakes have the potential to produce bigger fish because of its area, less pressured fishing spots, more fish-holding areas, a larger forage base and more habitats. However, big lakes can also mean bigger water, and can also be harder due to their size you have to cover and the inclement weather that can arise on one side and not the other. Smaller lakes on the other hand, can be easier to fish and maneuver around, but may not be in the same position to produce the monster trophies that many target. Also, you may wind up fishing the same area daily and some may want the adventures and the search that larger lakes provide. However, if weather is a factor, smaller lakes can be easier to get ashore when the weather gets bad. Canada has an abundance of lake chains, due to the many river systems that produce multiple lakes in succession. These systems usually fish like smaller bodies of water, but still provide an endless expanse of fishable waters. Waterways that consist of multiple lakes or have connecting lakes that stretch for many miles can satisfy both appetites of big fish and can be navigable and have fishable water. Many of these run in a single direction with unlimited islands and bays. For the most part, however, if you keep making your way in one direction on lake chains, you will eventually find your way. Three such chains in the Ontario region I’m most familiar with are the Pipestone/Clearwater Chain, the Marchington Chain and the Woman River Chain. Just outside of Sioux Lookout, Ont. is the Marchington Lake Chain with 11 connecting lakes. This chain in my opinion offers some of the best walleye fishing around. Easy to navigate and fun to fish, it comes with waterfalls and a true Canadian remote feel. Marchington is considered the main lake and is 20 miles long with many rivers and creeks. Accessible only by boat, it has numerous fingered bays. If you want to see moose, this is the chain to fish on. Clamshell Lake is the first you’ll reach after experiencing a boat ride through the extraordinary tunnel of solid rock. 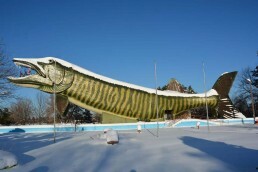 Next is Stanzhikimi Lake, and a 4-mile boat ride up a scenic river to fantastic pike and walleye fishing. 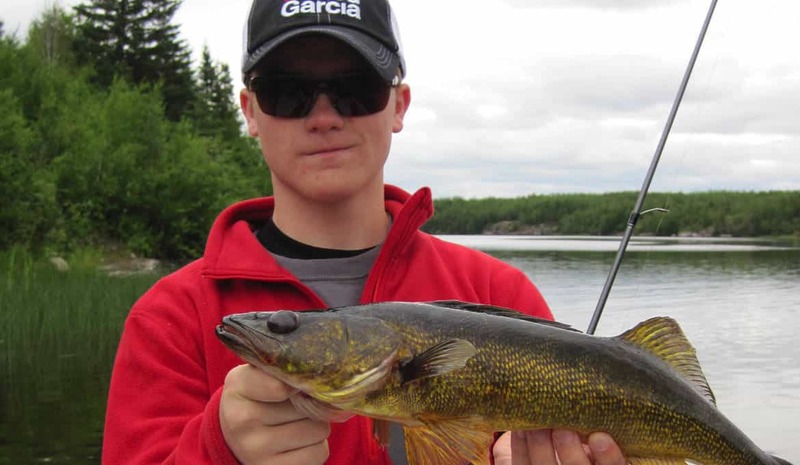 Rock Lake offers secluded fishing for “catch and release” walleye and pike, and Singapore Lake is a short portage over the majestic Twin Falls for super-deep walleyes and northern pike. Zarn Lake is last, a spring-fed lake with excellent trout and northerns. For more information on this chain contact Ghost River Lodges, which is the only lodge on the lake. They encourage catch and release and paying for a Conservation License, which allows lower limits of walleyes and pike. Just one hour over the International Falls border, west on Highway11 north of Emo, Ont., is the Clearwater/Pipestone Chain. These waters offer 11 connected lakes with 45 miles of waterways. 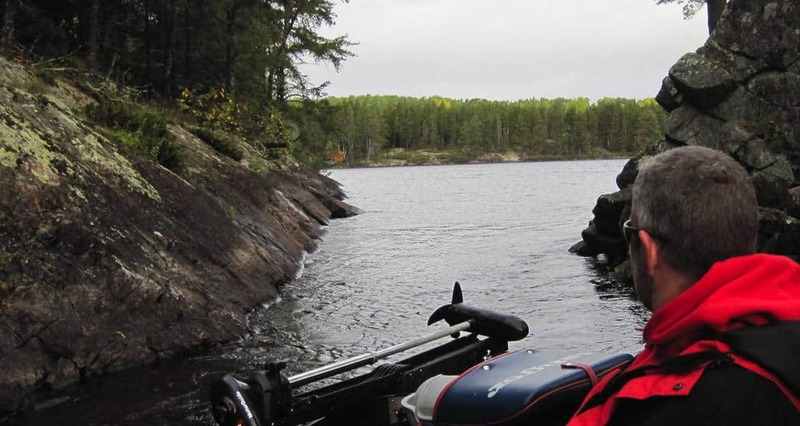 Clearwater Lake offers excellent fishing for smallmouths, walleyes and muskies, but it’s the entire chain that offers an unsurpassed fishery that also includes lake trout, pike, perch and largemouths. The lakes are linked together by two mechanical portages, which offer a unique adventure in itself. While close to the border, this chain extends into the Canadian wilderness with winding waterways that bend and stretch for miles. With terrific cabbage and weed growth along with deep-water access, this is among the top muskie- producing waters in Ontario. There are two terrific lodges on this chain too. 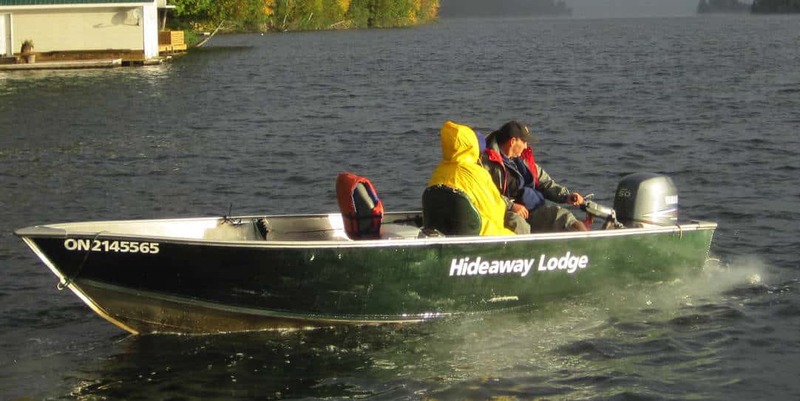 One is a “drive-to” and one is a “boat-in.” For more info, contact Pipestone Lodge or Hideaway Lodge. North of Vermillion Bay, up Highway 105 near Ear Falls, is the Woman River Chain. The Woman River is easy and safe to travel in any kind of weather. 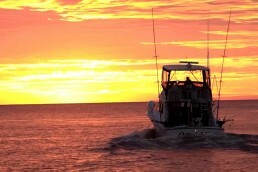 You can fish on 50 miles of clear, clean water and enjoy unlimited hours of exploring the never-ending shoreline. The chain has awesome fishing and management; you’ll find walleyes and northern pike fishing at its very best. Most fishing for these is done in depths of less than 20 feet. Lake trout are taken out in the deeper waters. For added adventure, you can also fish one of seven portage lakes, including one specifically for smallmouths. I find it amazing that each lake on this chain often takes on its own unique characteristics, making them very different from each other. A family-owned lodge that is truly exceptional on this chain is Woman River Camp. In addition to easy, navigable waterways, potential for larger fish, more manageable waters and an endless expanse of wilderness, another reason I fish chains of lakes is because they are usually part of a larger river system. Rivers provide current, which can provide rich oxygenated waters that fish enjoy. They also tend to be very scenic waterways to fish. When planning your next adventure, you may want to check out a chain system. It may lead to a more successful Canadian fishing experience. Many times the planning of your Canadian vacation can be as fun as the trip itself. So, take it slow, be thorough and remember at least one thing—this is your vacation to enjoy.